If you use a Kroger Plus Card, link it to us so that we receive a donation every time you shop. If you already have your card linked to us, it is time to re-enroll. Also, if you shop at Amazon, sign up for Amazon Smiles and link us as your charity to receive a donation every time you make a purchase. It's hard to believe that 2015 is already at its end after thousands of children have come through the FCSF center throughout the year; to date over 43,000 children. Kudos and thank you to all as a community as you have come together to meet their needs with 3 ways of giving; Funds, Time and Goods. With these three methods, you've helped make magic happen as we've supplied basic clothing essentials, toys and more to thousands of children. Let it be known that our Georgia communities care and GA's children of abuse and neglect are better off because of you. If you haven't yet, please consider a year end donation to help us reach many more children next year as the numbers of children in foster and relative care homes rise dramatically. Help us spread the word of the need so they don't feel alone and forgotten. Your tax deductible end of year charity donation or a reoccurring monthly donation to Foster Care Support Foundation is making a difference. Please share our newsletter and videos They Come in The Night and It Works with friends and family so that more people will be aware of the FCSF programs. Read below and see how you and others allowed FCSF to help over 43,000 children since our incorporation. Have a wonderful holiday season and treasure the family moments that you have around you! "Why foster care rather than straight adoption?" About 60-80% of children in foster care that go up for adoption are adopted by their foster families. Fostering before adopting is most beneficial for you and the child. Most children in foster care have been traumatized, abused or neglected, and when the reunification plan cannot safely put them and their biological parents back together, a forever family is needed to adopt them. The foster family that has cared for the child in their home for months or years is the best solution since Read more - Fostering. 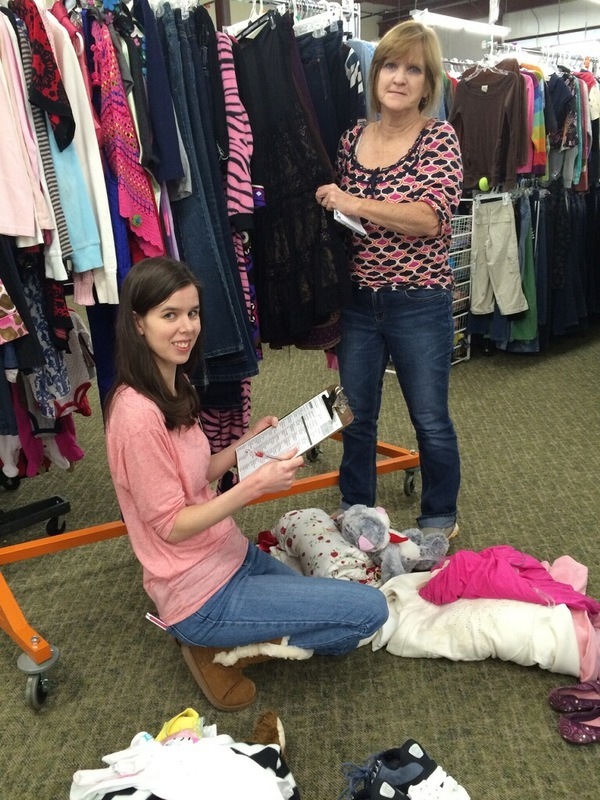 To make an appointment to come in for clothing for your foster or relative care child, please email appt@fostercares.org with your name, county and/or private agency that you foster for and ask for an appointment form. 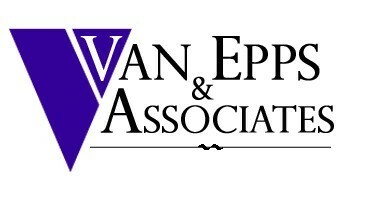 We will email it to you so that you can fill it out and provide the information needed for us to schedule your visit. If you do not have email access, please call 770-729-3374 and the appointment desk will assist you. If you live outside the metro counties throughout Georgia and more than one hour away from the FCSF Roswell distribution center and would like a mail out order form, you can request that appt@fostercares.org or from info@fostercares.org. Foster Care Support Foundation sadly says goodbye to Jim Ware who died Wednesday morning. Jim served on the Foster Care Support Board of Directors for 3 years and then stayed on as an advisory board member. He spearheaded the Mary Ware Scholarship, in honor of his late wife Mary to help disadvantaged teens have the opportunity of seeking out a better future for themselves. Jim wrote and published a book called Hark & Shep, The Christmas Misfits, now on Amazon.com and at the FCSF center for purchase. Jim generously donated all proceeds of the sales of the book to the FCSF Capital Campaign to help retire the mortgage of the center. All were blessed to have known him and Jim will be missed. Heartfelt condolences to his family and friends. We keep him in our hearts and them in our prayers. For those that may want to attend, funeral services will be on Tuesday, December 29th at the Roswell United Methodist Church Chapel at 2pm. Visitation is Monday at the Roswell Funeral Home at 6pm. This Holiday Season, please shop at our Fostering Hope Bargain Resale for something special for you, your family, friends, teachers or your home. Each time you purchase something from our shop, a foster child receives something essential. It's a win/win. 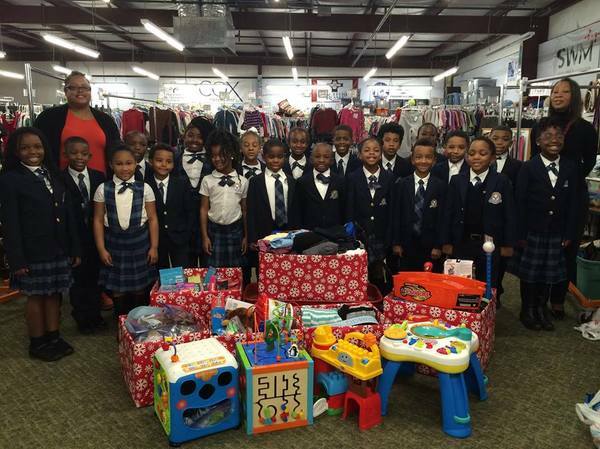 Our program is unique from most programs in such that while other programs' in-kind donations may primarily provide their revenue. The majority of Foster Care Support's in-kind donations become the inventory to donate free to the children needing help. The remainder of the in-kind donations that are either not for children (furniture, dishes, home decor, linens, etc), or in excess of what we may need in some areas and sizes are processed and sent to our store which is open to the public to help raise supporting funds for the program. Fostering Hope Bargain Resale Shop is at 608 Holcomb Bridge Rd, suite 210, Roswell GA 30076 and please like our Fostering Hope Bargain Resale Facebook page. Our Annual FosterCares' Kids Classic Golf Tournament was a great success! Thank you to everyone who came out to golf and a special thank you to our sponsors. Special thanks to Mary Jackson, our dedicated event coordinator and to the North Atlanta Mens Group for all their hard work. This year, we said goodbye to two of our longtime employees as they enter into retirement. Sharon Franklin and Crysti Pynne started out volunteering at FCSF years ago and evolved into two of our very first staff members. As foster moms, Crysti and Sharon saw the needs of children in foster care and enjoyed being involved helping fellow foster parents meet the needs of the children in their care. We thank them for their service and know they will be greatly missed at FCSF! We also wish Savannah Findley great success as she returns to college to pursue a social work degree. 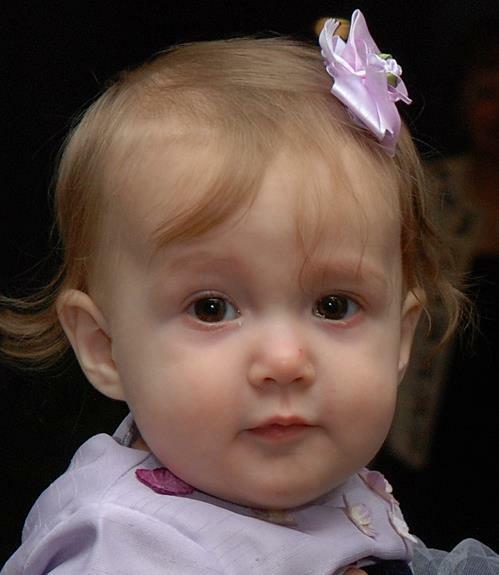 A Godsend, that's what Foster Care Support Foundation is to our little family. When I heard of your program, I was skeptical, thinking I would find a couple of items that I could salvage, possible have to rummage through boxes or bins. What an amazing resource, to my surprise! I was thrilled to find a complete stockroom of items in each size with the quality and presentation equal to most retail stores. The staff was kind and helpful and I could see that they really cared about us and our children as they directed us to find things we needed. The toys were perfect and seemed to be selected just for our kids. There were books and games and more items too numerous to mention. Thank you all for helping us care for the children with such ease. Jack thought no one cared until he stepped into your free store and you helped him pick out his who winter outfit. Since he had lost everything he owned when coming into foster care, he was depressed and thought there was no hope. Thank you for bringing a little home in a sad teen's life. He left with a smile and has been so much happier since. Thank all your supporters from us too, they should know how much their help means. Can't wait to come for the next season. Ruth Petit-Bois will be graduating in the spring. Each recipient received up to $5,000 towards annual tuition, books, dining plan, or housing per year, if they meet the qualifying requirements. 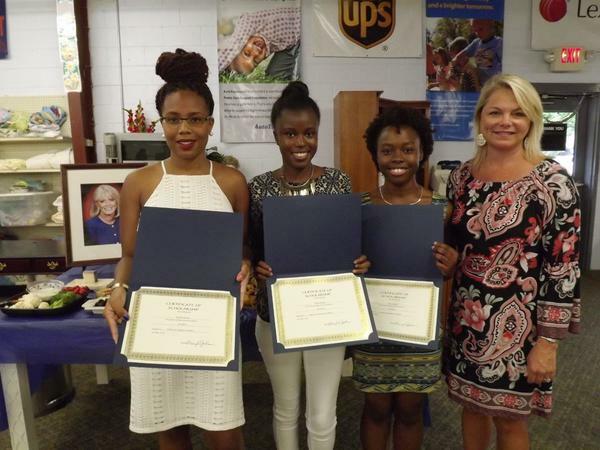 The Scholarships were awarded at the Foster Care Support Foundation in Roswell for the 2015/16 school year. The Mary Ware Scholarship was formed in memory of the late Mary Ware (pictured in the framed background photo) to honor her life and her love for children. The Scholarship provides financial grants for qualified non-fostercare recipients to attend a range of Georgia institutions for higher learning including traditional colleges, universities, and trade schools. This needs-based grant is awarded to deserving Georgia high school graduates who meet specific criteria as directed by the Mary Ware Scholarship Fund with a focus on "at-risk" children who do not qualify for other grant options such as foster youth opportunities and the Hope Scholarship. Hope 4 Tomorrow Mentoring is here! The Hope 4 Tomorrow Mentoring is on its way. Check out the program by coming to an information/orientation session on the second Tuesday of each month. If you know of a foster or displaced teen ages 14 and up that may benefit from having an adult mentor in his or her life, please email mentor@fostercares.org for an application or information. John's Creek UMC Great Day of Service. 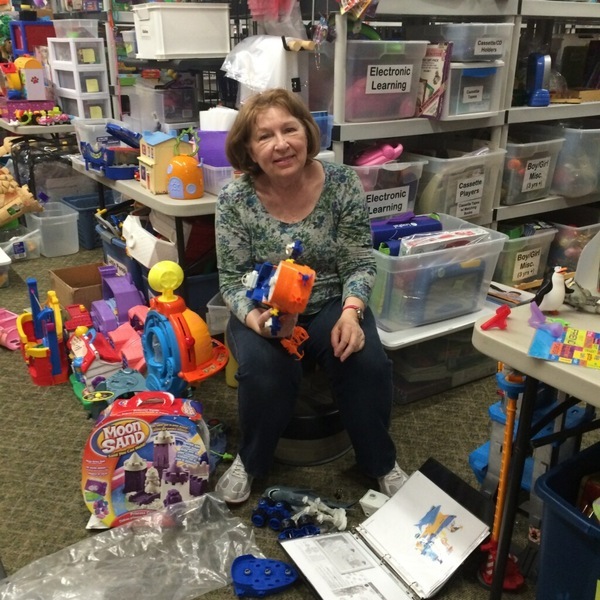 Donna Cruce - 15 years of service with FCSF - toy sorting and organizing to help our kids. Thank you Donna! 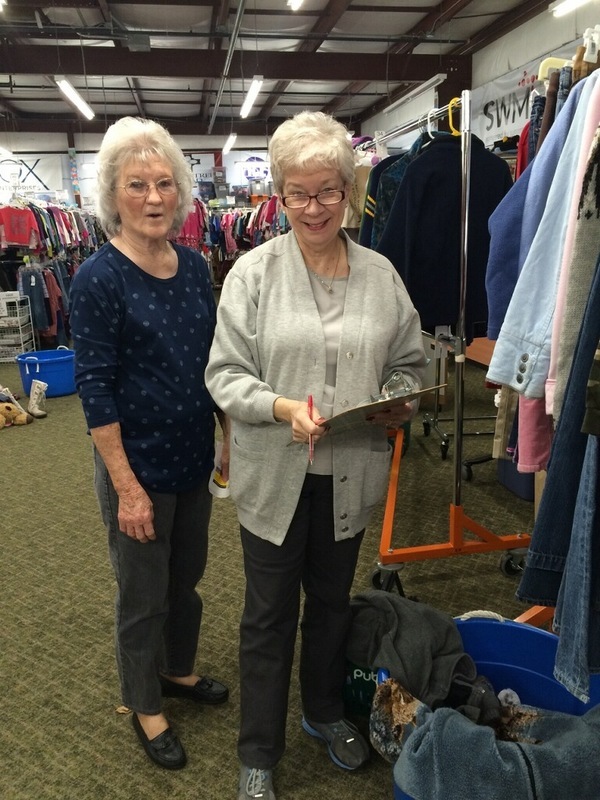 Cheryl Dickens and Amanda Johnson, work with volunteers to help Grands raising Grands and Foster Parents as they choose their Winter items. 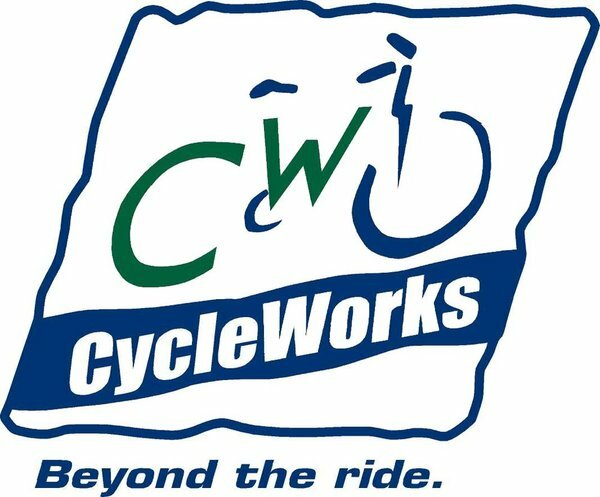 We appreciate our longtime bicycle partnership with Cycle Works of Roswell and Duluth who take bike donations and give them to FCSF for our children. Welcome Peachtree Bikes as a new partner helping foster children have safe bikes to ride too! Be sure to help us say thank you to them and the following. Georgia Division of Family and Children's Services.